Kaurvaki is shocked! 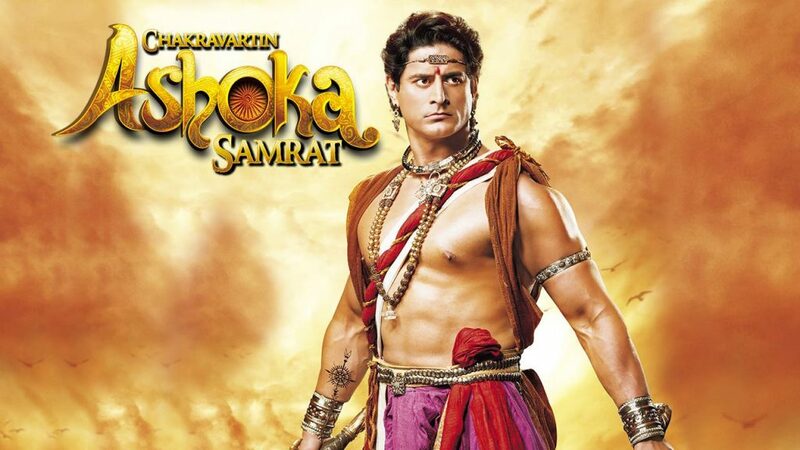 Chakravartin Ashoka Samrat 5th July 2016 Episode Written Updates :- In the historical come periodic TV series Chakravartin Ashoka Samrat something going to happen which will be bringing huge melodrama and Samrat Bindusaar will have to take a strong and tough decision of his life in which he will be shown shattered and dumbstruck. The last night episode of the TV series Chakravartin Ashoka Samrat begins with Sushim is faint and turns out to be blue and Ashok tries to hold him but Charu throws him and asked Ashoka to stay away from her son Sushim. Devi blames Kaurvaki that she adds poison in the food but Kaurvaki screams and says that she did not and Charu is still crying for Sushim. She is keep saying to Bindusaar that she wasn’t her son back and Bindusaar is the worry. Everybody is wonder who add poison in the food and Bindu asked to call the sages who can sure Sushim. Saimak appears there and asked that I think Samrat Ashoka adds poison in the food as when Sushim will die then he will be became king then. Saimak also makes Bindusaar recalls that he promised that whatever anything will happen either to the each one of Sushim and Ashoka, then you will neither see the fact not see the situation you will be killing the second one. He asked Bindusaar to full fill his promised and Bindusaar is shocked. Charu said yes, Bindusaar have to kill Ashoka as if my son Sushim will die then Dharma’s son also have no right to leave. Dharma pledge to Bindusaar that he can’t do this as Ashoka did not add poison in the food. Ashoka realised that the conspiracy must plan by Saimak but Bindu is no mood to hear anything. Now when Dharma tries to suggest something for the welfare of Sushim, Charu asked her to stay away from her son and Ashoka also asked his Maa to follow the advice of Charu. Saimak taunts Ashoka and keeps praying that Bhrata Sushim should die then Bindusaar will be killing Ashoka and I will be king of the Magadha. Precap: It will reveal that Saimak adds poison in the food when the kitchen was empty as he planned the conspiracy. But still Bindusaar is not aware of it and he will be blaming Kaurvaki that she adds poison in the food. Bindusaar will also keep sword in the Ashoka’s neck.